Ten years ago, after a heated pursuit, psycho killer Charles "Chucky" Lee Ray was brought to bay in a toy store and gunned down by the law. With his dying breath he muttered an ancient voodoo incantation to transfer his soul into the nearest available body and defy mortality forever. However, Fate (or the screenwriter) had other plans. There being no people in the immediate vicinity, Chucky was reborn again inside the hottest-selling toy of the year -- a "Good Guy" doll. Additional Information: You'll wish it was only make-believe. Additional Information: Look out Jack! Chucky's back! Review: Chucky's back! The notorious killer doll with the satanic smile comes back to life in this new chapter depicting the terrifying struggle between young Andy Barclay (Alex Vincent) and the demonic doll attempting to possess his soul. 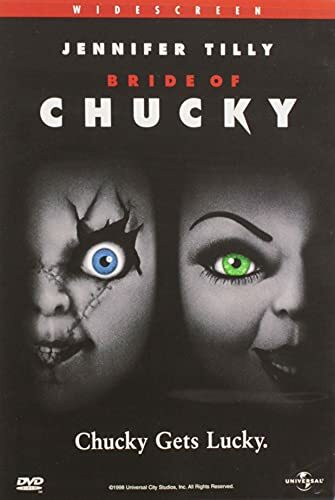 Despite being roasted to a crisp in his last escapade, Chucky rises from the ashes after being reconstructed by a toy factory to dispel the negative publicity surrounding the doll. Back in one piece, Chucky tracks his prey to a foster home where the chase begins again in this sequel to the enormously popular original. Additional Information: Look who's stalking! Review: It's been eight years since the events in the second film, we now see that Andy is a teenager who has been enrolled in a military school. Play Pals Toy Company decides to re-release its Good Guys line, feeling that after all this time, the bad publicity has died down. As they re-used old materials, the spirit of Charles Lee Ray once again comes to life. 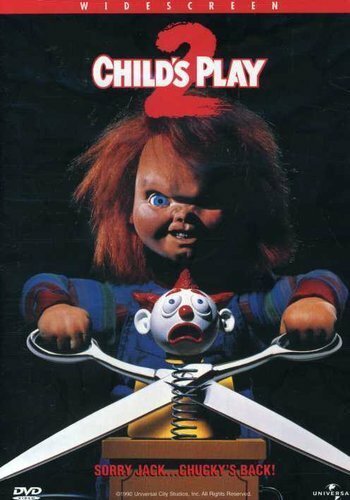 In his search for Andy, Chucky falls into the hands of a younger boy, and he realizes that it may be easier to transfer his soul into this unsuspecting child. Andy is the only one who knows what Chucky is up to, and it's now up to him to put a stop to it. Additional Information: Chucky Gets Lucky. Review: Sorry Jack! Chucky's back! 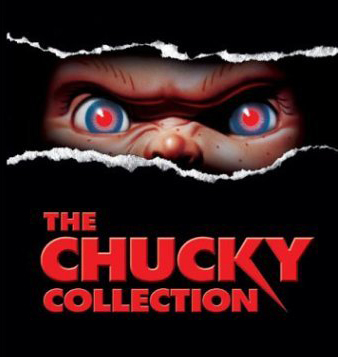 In this horror flick, the murderous serial killer, Charles Lee Ray, has his body parts being held at a criminal evidence station in the form of a small doll known as the famous Chucky. When his old-time sweet heart, Tiffany, picks up his remaining limbs and puts them back together, she performs a ritual that revives the murderous maniac. But Chucky decides that he wants another individual to help him with his dirty work. So he kills Tiffany, and then revives her as a "doll bride". When they decide to spend their honeymoon with another happy couple on the highway, it becomes another murder spree. With a "blood-bath on wheels" and two murderous dolls, the human couples find that this was going to be a "Highway To Hell" in this gruesome film of blood and gore and a little bit of Chucky & Tiffany. Additional Information: Deliver us some evil.